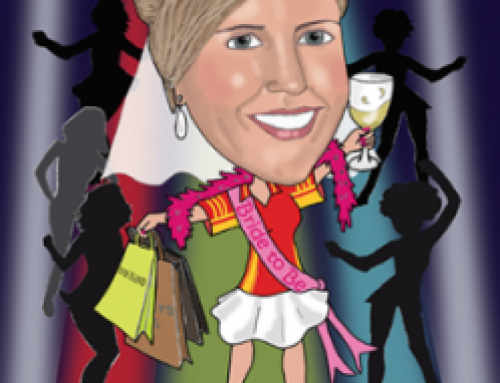 Another Hen Party Caricature. 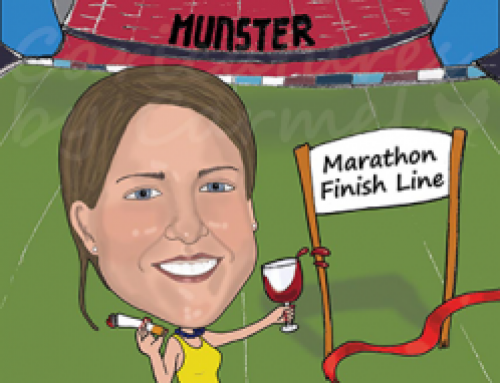 I was told that Aoife likes swimming, baking cakes, her dog, her gin and tonic, traveling and Winnie the Pooh. I created her sitting on the pile of suitcases with the dog trying to get at the cake.